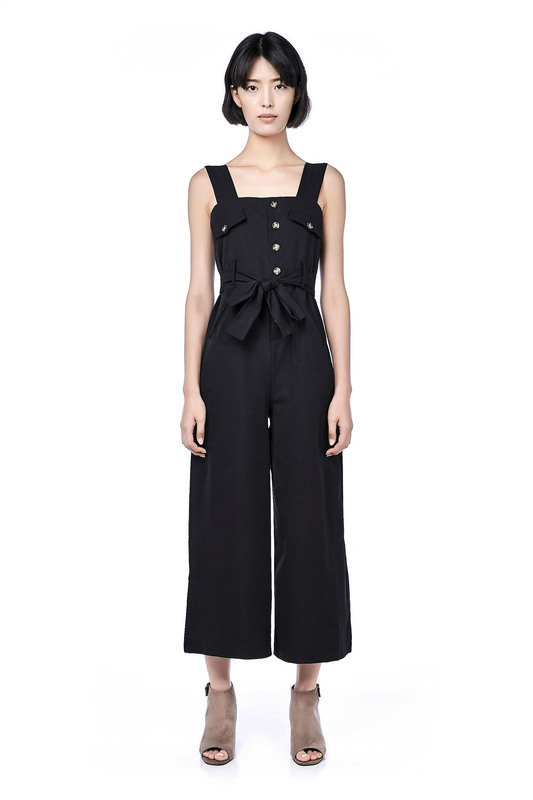 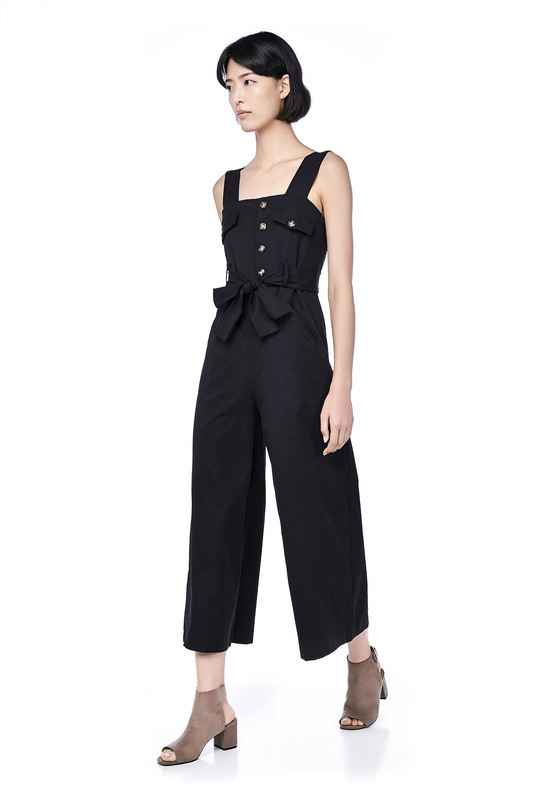 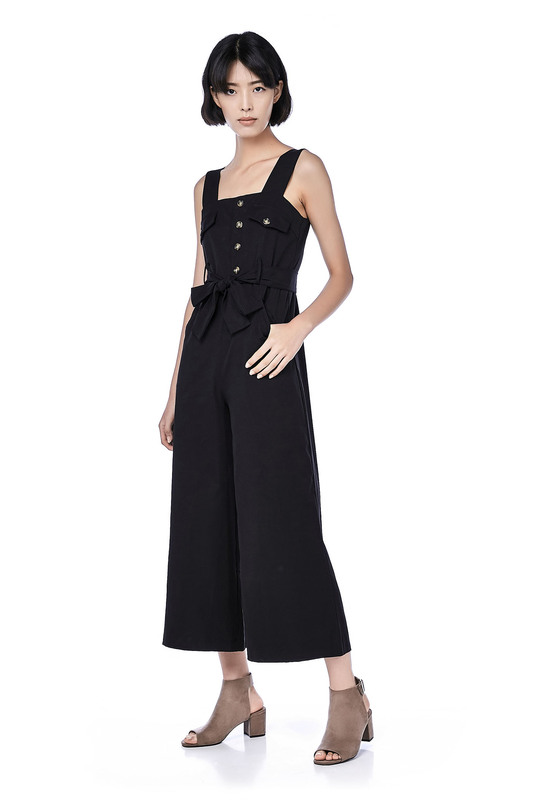 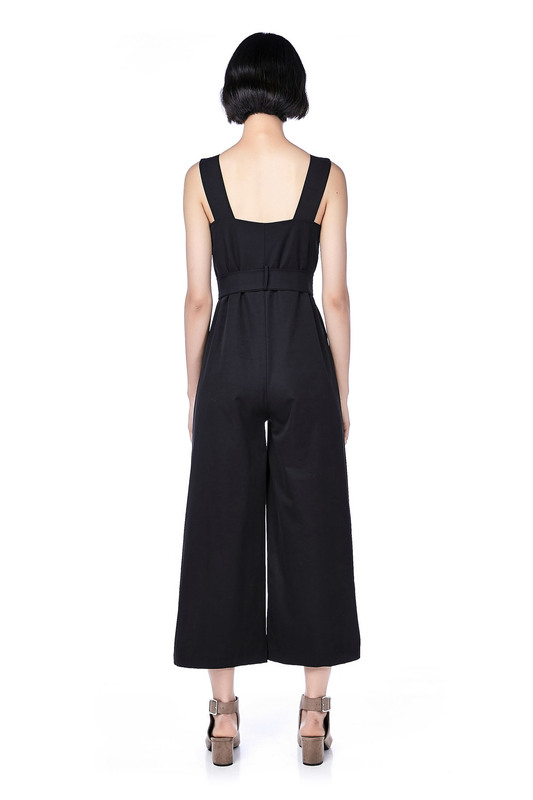 This sleeveless jumpsuit is made from smooth polyester. 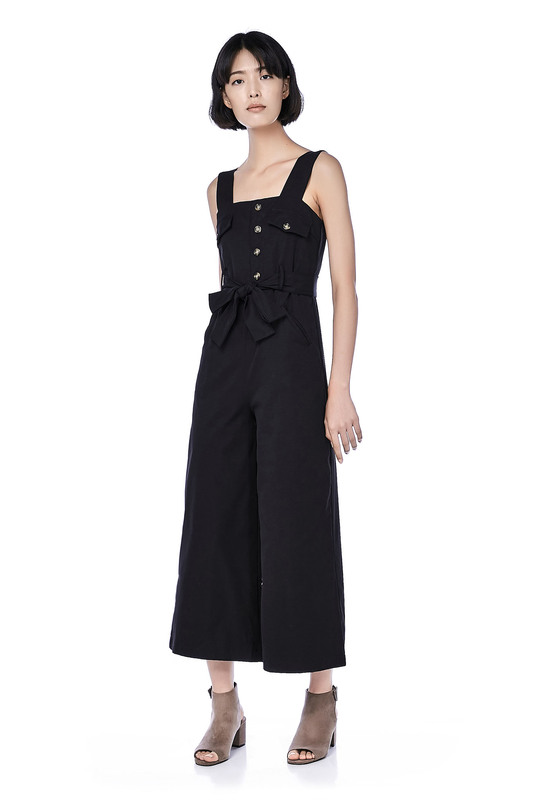 It has a square neckline with thick shoulder straps and button fastening on the front, made in a relaxed fit. 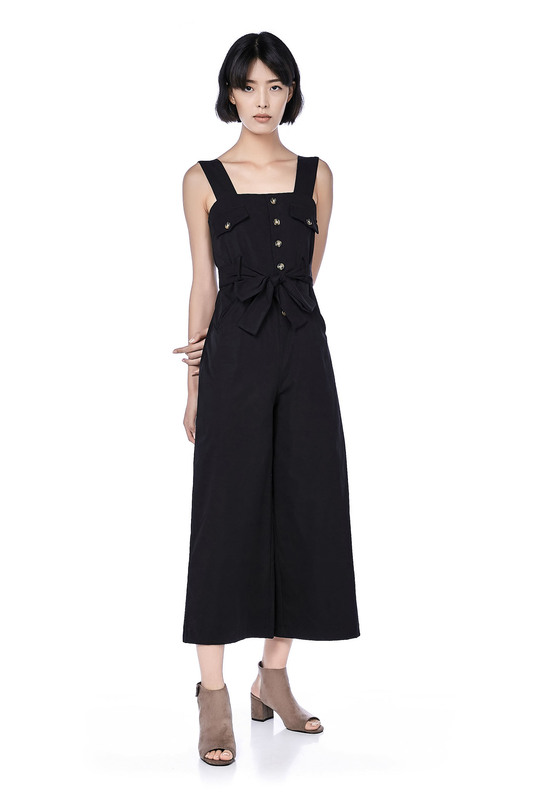 Strap belt at waist with functional pockets at both sides. 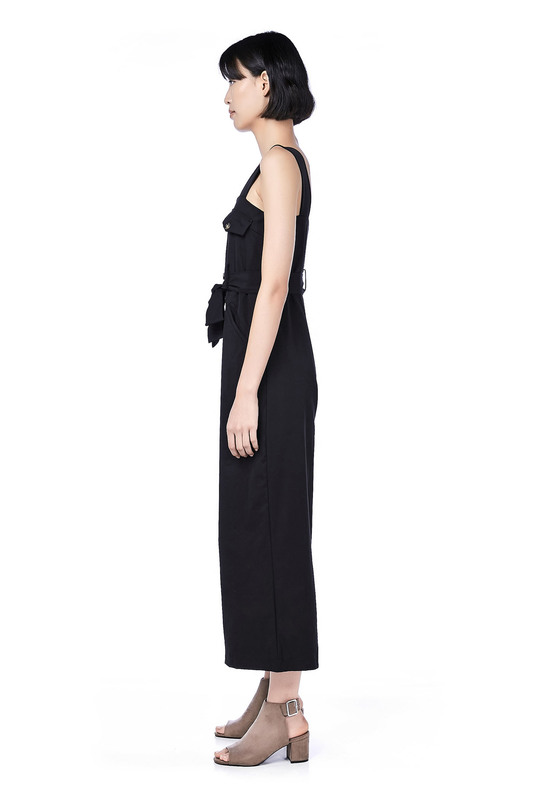 RISE 14.5" 14.5" 15" 16"
THIGH 24" 25" 26" 28"
LENGTH 51" 51.5" 52.5" 53"